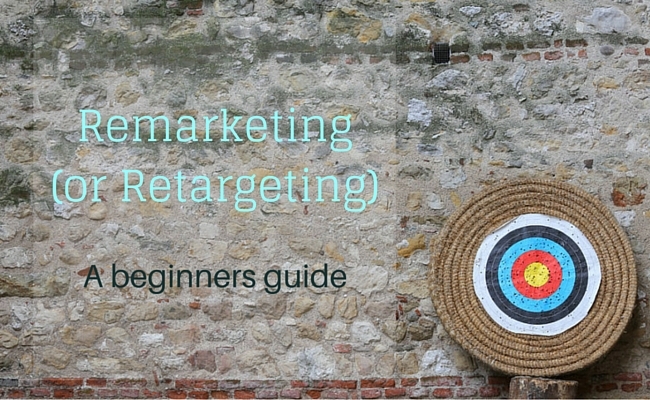 Remarketing (or Retargeting) is one of the latest buzzwords around online marketing. 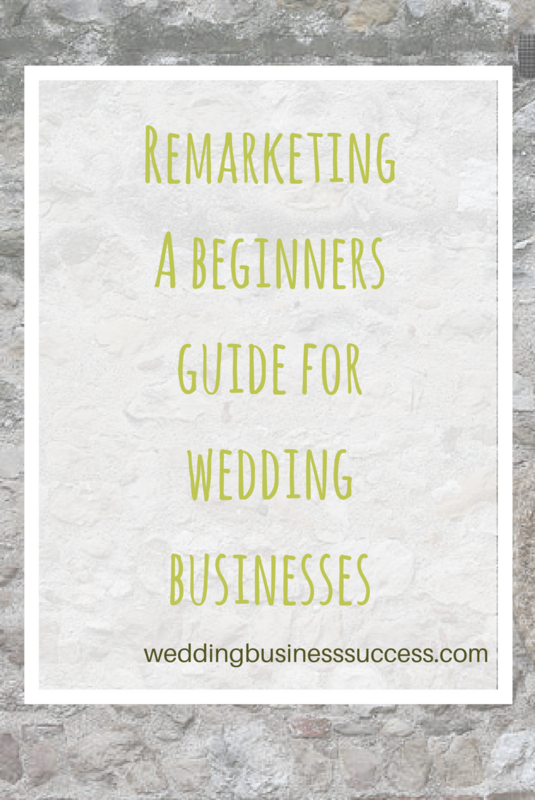 But what exactly is it – and is it relevant for your wedding business? Even if you haven’t heard about remarketing, you’ll certainly have seen it in action. Noticed how some businesses seem to follow you all everywhere you go on the internet? That’s remarketing. It’s growing fast – and that’s because it works. It’s especially valuable where potential customers are likely to do lots of browsing before they make a decision. Making it very relevant for weddings. Remarketing doesn’t have to be complex (although it can be extremely sophisticated and powerful). Which makes it very accessible for small businesses. The two flavours you’ll hear about most are Google Remarketing and Facebook Remarketing. Facebook remarketing makes it easy to show FB adverts to people who have already visited your website. This is a great way to get website visitors to Like your Facebook without distracting them while they are on your site. You can then use your Facebook page to engage with them until they are ready to make a booking. You use the Facebook remarketing pixel to create a “Custom Audience” on Facebook. You can then show adverts to this audience knowing that you are reaching people who are already interested in you. Read the Facebook help page for details. Even better, Facebook lets you create a “Lookalike Audience”. People with similar characteristics to the people on your custom audience. 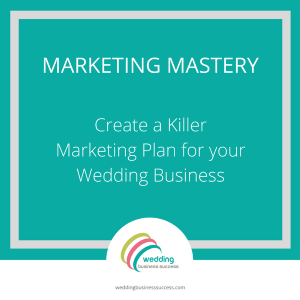 So you can target more potential customers. To get the most from this you need to be active on Facebook (and create compelling adverts that will distract people from their friends and all those cute cat videos). Google remarketing is run through Google Adwords. If you are running Text or Shopping campaigns in Adwords, remarketing lets you bid higher (or lower) for people who have previously visited your website. You’ll often find these visitors convert better so you can afford to pay a little more to get them back to your site. Google’s dynamic remarketing enables you to display adverts for your business on other sites tailored according to what people did while on your website. This can be a simple advert – or something more complex tailored to the specific pages people visited. Remarketing is all about maximising the value of website visitors. It won’t help if your main issue is getting visitors to the site in the first place. You do need to have reasonable volumes of traffic to your website for remarketing to work – otherwise your audience will be too small.